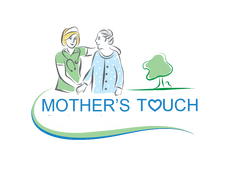 This position will provide supportive and social services to terminally ill patients and their families in accordance with an appropriate plan of care. The social worker will assume responsibility for development, implementation, and management of social services where ever the patient resides. Master's Degree in Social Work from a Council on Social Work Education accredited program. Have a current, unencumbered, license through the Kansas Board of Social Work. Have a valid KS Driver’s License and daily access to a reliable and insured vehicle. Assess and address patient/family social and emotional factors in order to estimate their potential to cope with terminal illness and the related lifestyle changes. Provide psychosocial assessment to determine levels of counseling and support needed for patients and family members who may be experiencing different levels of emotional, social, and economic conflict. Participate in interdisciplinary team (IDT) meetings to establish, review, and revise the plan of care for each patient as needed including exchange of information, review of problems, and sharing of professional support with members of the interdisciplinary team. Responsible for the timely maintenance of medical records; assuring accuracy, completeness and compliance with regulations, certification, legal, and ethical standards. $35/hour to meet all the social work needs for assigned patients and their families. Minimum of one visit per assigned patient required each month.